RTLS Location Server Software | Location Running. 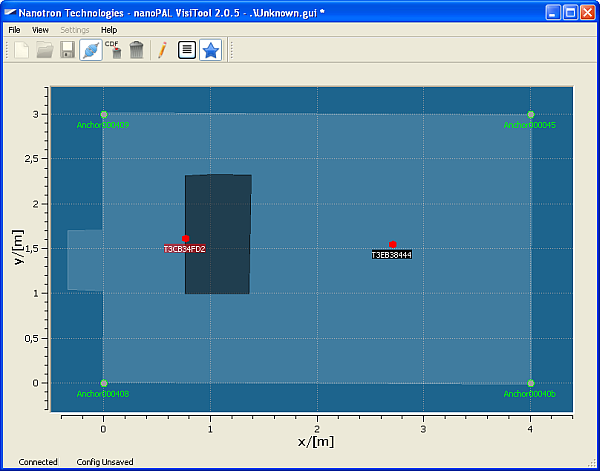 nanoLES is the central software component of RTLS. LES stands for “location engine and server”. nanoLES receives data packets of tags from anchors and calculates tag positions. These location results are delivered to VisiTool or a similar application developed by customer for visualization. MClient The Management Client (“MClient” for short) is a software component of RTLS. 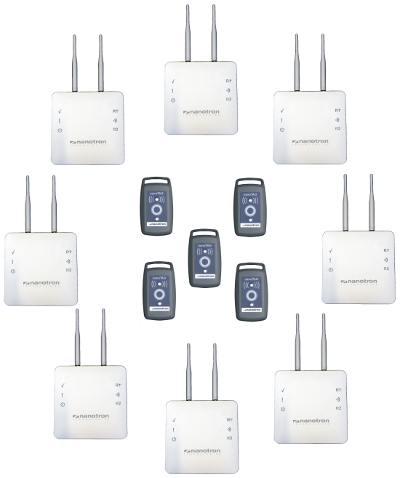 It is connected to nanoLES and manages the database of anchors in the network. The database contains all anchor settings. All connected anchors can be discovered by MClient, see the figure below. The MClient also provides a live anchor monitor indicating the quality of links between the anchors. The update of anchor firmware can be done via MClient. The nanoLES server options can be changed in MClient. VisiTool The main function of VisiTool is to provide a graphical display of the tag positions delivered by nanoLES. Depending on the input which VisiTool receives from nanoLES, it is possible to view the real time movement of the tags as well as the historical movement by replaying a previously recorded log file. 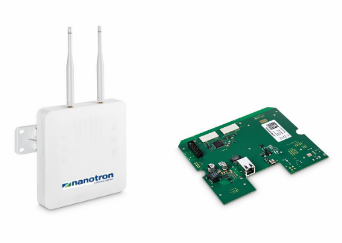 Different from nanoLES, MClient and VisiTool only serve as helpful tools for system integrators during development of their own RTLS systems. In the final stage of system integration, these tools will be replaced by custom applications with similar functionality.